In the Fall Economic Statement, Finance Minister Bill Morneau provided Canada with a response to U.S. President Donald Trump’s tax reform, taking measures to improve competitiveness, drive investment and accelerate adoption of clean technology in the Canadian economy. Accelerated Investment Incentive, allowing all businesses to write off larger share of newly acquired assets in the year the investment is made. These three measures will be gradually phased out starting in 2024 and ending by 2027. With these measures, Canada’s Marginal Effective Tax Rate will fall from 17.0 percent to 13.8 percent, with the government arguing that it will give Canada the lowest rate on new business investment amongst the G7 countries. In addition, strengthening Canada’s access to markets – both within Canada and in export markets – figures prominently in the Fall Economic Statement (FES). Accelerating action to remove regulatory and other barriers to internal trade, as well as a suite of measures to modernize regulations, including a dedicated External Advisory Committee on Regulatory Competitiveness, are slated to increase Canada’s attractiveness as a destination for business investment and make it easier for Canadian businesses to grow. Looking to export markets, the FES introduces the Export Diversification Strategy to achieve a 50 percent increase in exports by 2025. The Strategy has a focus on the Asia-Pacific region and with Europe, while developing new markets in services, digital products, health technology and e-commerce. Minister Morneau also emphasized the shift towards clean growth as a key theme of today’s speech, announcing creation of an Advisory Council on Climate Action to provide advice on how to reduce pollution and encourage economic growth in the transportation and building sectors. The government also committed to returning any revenues from pricing pollution to provinces and territories where it is collected. Despite these strengths, today’s measures come with a cost and the federal deficit will have to grow to accommodate measures announced today. While previously on track for a budgetary deficit of $15.8 billion this year, the target has now been adjusted to $18.1 billion. Next year, the deficit increases to $19.6 billion before declining to $11 billion in 2023-24. Return to a balanced budget does not appear to be in the government’s forecast, while the debt-to-GDP ratio is expected to continuously decline to 28.5 percent in 2023-24. With no balanced budget appearing on the horizon, Conservatives will continue to rail against the government’s fiscal management. Meanwhile, the heavy focus on corporate Canada and lack of measures directed at Canadian families was at the core of NDP criticisms of today’s update. The Liberals entered today’s Economic Statement with an uptick of public support. 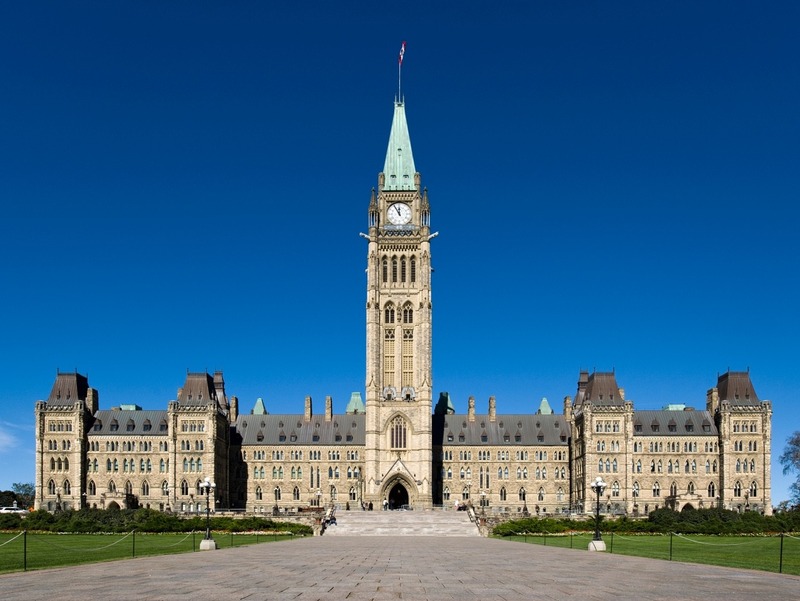 Recent polls have placed the Liberals ahead of the Conservatives – Abacus Data has the Liberals at 38 percent to the Conservatives’ 31 percent, Nanos federal tracking has Liberals at 39 percent, Conservatives at 29 percent. While this is not quite at the Liberal peak seen just after the 2015 election, support is tracking well. Add to this the strength of Prime Minister Trudeau’s personal approval, at 44 percent to Andrew Scheer’s 28 percent, and the precipitous decline of the NDP, it appears that there is some momentum gathering for the Liberals. Major shifts in provincial governments, including the election of the Ford government in Ontario and the rise of the CAQ in Quebec, have contributed to an overall shift to the centre-right in the provinces. This new dynamic will be put to the test at the upcoming First Ministers’ Meeting on December 7 in Montreal. Today’s Statement also lays groundwork for Budget 2019 to be a more traditional, retail politics-style of budget, with measures targeting voters (and their families) in the lead up to the election campaign. While election day is still 11 months away, the runway remaining for the Liberals to deliver on promises is growing shorter with each passing day. With only three sitting weeks remaining this year and 14 sitting weeks scheduled between January and June 2019, the time remaining for this government to make decisions and implement change is far shorter than what the calendar indicates.